How can we counter the gender stereotypes that are thrust down the throats of our little ones? By talking and walking the talk and using all the resources we can get to support us. Books to the rescue! We stay as far away as we possibly can from Disney damsels in distress and pretty princesses in pink. 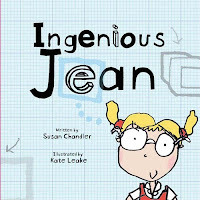 What we do do is read as many of the like of Ingenious Jean as we can lay our hands on. They are typically equally appealing to boys and girls. 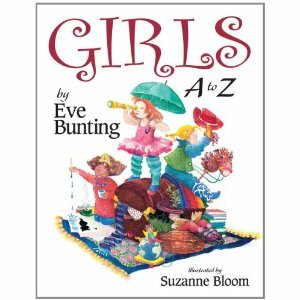 An alphabet book with a difference. 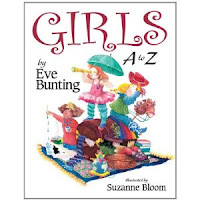 A group of twenty-six girls dream of what they want to be – from Aliki the astronaut to Zoe the zoo keeper. Rhyming and alliterative, multicultural and inspiring – this one ticks all the right boxes. 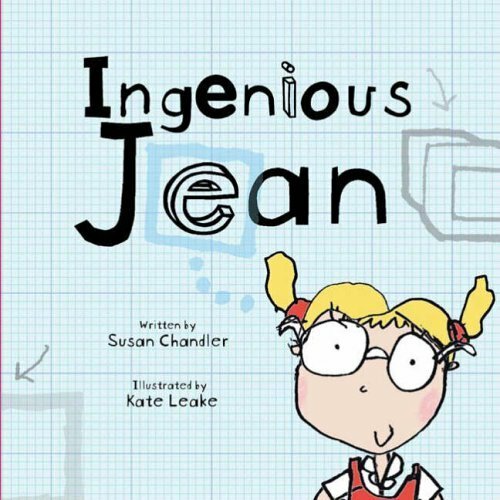 Jean is an ingenious inventor. The manual-like font, visuals that look like doodling and important sounding words make the young innovator relatable and plausible. After coming up with original designs for things that turn out to have been done before, guess what’s next? Sure to appeal to young people who have outlandish ideas themselves! 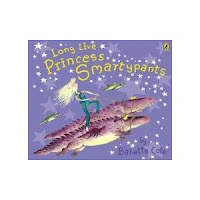 The Princess of Totaloonia doesn’t want to get married, has unusual pets like dragons, rides a motorbike (and dragons), and romps about in dungarees – that’s my kind of princess! In other books in the series, the princess breaks all the rules and turns Prince Swashbuckle into a toad by refusing to marry him. In this one, we see what she does when she wants a baby, how she gets one and how she manages to keep kingdom and palace pest (aka baby) under control! Fantastic and fun. Do leave us a comment sharing more such book titles. For more girl power, head over here and here. 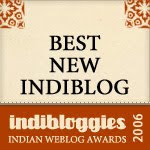 Perfectly timed and wonderful picks Arundhati..we definitely need more of these ! Ranjani, thanks. The timing was intentional, energy needed to be channelised. Yes, we do! Have two girls and volunteer with an NGO that works for the girl child. Therefore am always looking out for these books. and so that post on girl power. Sandhya and I had one time gone book-shopping together. We saw these and picked up multiple copies. Have gifted them around, put some in the library of our orphanage and have a couple more with me - want one? Gender benders only for daughters? IMO these books can and should be read by sons too. I bet there are many boys who do notice the imbalances (where they exist - homes like yours where these are non-existent are sadly still in the minority) in the way boys and girls are treated and these books will serve to give the right perspective.